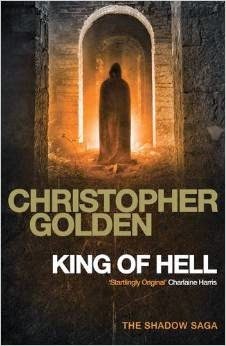 Christopher Golden (born July 15, 1967) is an American author of horror, fantasy, and suspense novels for adults and teens. Golden was born and raised in Massachusetts, where he still lives with his family. He is a graduate of Tufts University. As well as novels, Golden has also written comic books and video games and co-written the online animated series Ghosts of Albion with actress/writer/director Amber Benson. He co-created and co-writes the Dark Horse Comics series Baltimore with Mike Mignola. He wrote the introduction to the now collectible 200-only copies slipcased edition of Joe Hill's book of short stories titled 20th Century Ghosts. 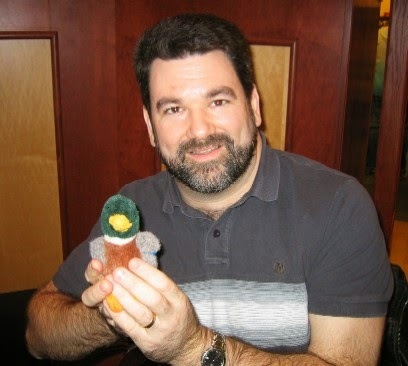 He has also edited numerous horror and dark fantasy fiction anthologies. CG: I started writing around the 8th grade but didn’t write a real short story until I was in high school. Even then, I had it in my head to go to film school eventually. Regular college first, then graduate school for film. But I took creative writing classes all through college and during my senior year, I started my first novel…and never looked back. CG: It’s in my DNA. I’ve loved horror and fantasy for as long as I can remember, from the comics and books I read as a kid to Kolchak: The Night Stalker reruns and The Twilight Zone on TV. It was always the weird and fantastical and scary stuff that got me excited. It’s just where my heart lives. CG: In 1992, I found an agent who submitted the first 125 pages and an outline of that same novel I’d started during my senior year in college, and she sold it to Ginjer Buchanan, who was then at ACE/Berkley in the U.S. That novel was OF SAINTS AND SHADOWS. It wasn’t enough money for me to quit my job…but I quit my job anyway. I was already married but we had no mortgage yet and no kids and my wife was incredibly supportive. I did a lot of pop culture journalism on the side, wrote some comics, and we made do. The first year, I think I made about $14,000 as a writer. You have obviously built a strong professional reputation for writing YA fiction. Do you think your YA fiction also appeals to adult readers? CG: Well, actually, I haven’t had a YA published in several years. The last one was probably WHEN ROSE WAKES. All of my recent work has been in adult fiction, like SNOWBLIND, TIN MEN, and the books I’ve done with Mike Mignola, like JOE GOLEM AND THE DROWNING CITY. CG: Imagination will always be our escape from the harsh realities of our lives. Fantasy explores the reaches of imagination. And horror lets us explore the great questions of life and death and our worst fears in the safety of words on a page, in a book we can close any time those questions become too much. You've won several awards. Does one stick out as your favorite? CG: I won the Bram Stoker Award for my first book, a non-fiction volume of essays that I edited called CUT! : HORROR WRITERS ON HORROR FILM, back in 1992. That was a lovely way to start a career. You're very politically outspoken. Are you ever afraid alienating your conservative fans might impact your writing career? CG: It worries me, yes…but never enough for me to stop fighting for the things I believe in. CG: The list changes all the time, but Stephen King’s THE STAND is always on top of the list. There are other Kings on there too, of course, especially SALEM’S LOT. Some others include SHADOWLAND by Peter Straub, Clive Barker’s BOOKS OF BLOOD collections, Tim Lebbon’s famous novella, WHITE, and THE TOOTH FAIRY by Graham Joyce. For classic horror, THE HAUNTING OF HILL HOUSE by Shirley Jackson is a favorite. More recently, I’d recommend Robert Shearman’s stunning short story collection REMEMBER WHY YOU FEAR ME. CG: Many of the usual suspects are on there—THE EXORCIST, THE THING (both the Carpenter and the Hawks versions), HALLOWEEN, NEAR DARK, THE RING, THE DESCENT, SESSION 9. Last night I saw the movie IT FOLLOWS and I would definitely add that to the list. CG: I’ve been a full-time writer for more than twenty years and have been able to provide for my family through my writing. Nothing’s more important to me than that. CG: You know if you’re any good at it. You do. If you’re not, you can try to get better or you can hang it up, but don’t be one of those people who points fingers and claims that they’re somehow being cheated out of the career they deserve. No matter who you are, there are a thousand better writers who are not having the careers they actually DO deserve. On the other hand, if you ARE good at it, keep going. Don’t stop. Get better. If you can write for money and have the rare luck to make a living at it, count your blessings every day. But if you love it and you’re good at it, keep going, no matter what. 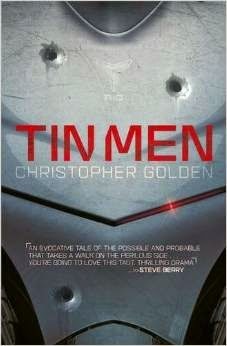 CG: My new novel, TIN MEN, is a near-future SF thriller that will be out in June from Headline in the UK and my comics series BALTIMORE, which I do with Mike Mignola and artist Peter Bergting, is out regularly from Dark Horse Comics. My next horror novel, DEAD RINGERS, will be out this fall.